Bil Bless is a legend. He has produced music for several labels including his own label, Bless Records, under the names Son Of The Electric Ghost (SOTEG), Skeetaz, The Disciple Grin, and Bil Bless. A Google search doesn’t turn up very much info other than his huge discography. He has even deleted his Myspace profile, but who can blame him for not wanting a Myspace profile?! One could make the assumption that he is a private guy who has chosen to let his music represent him. Producers and DJs from all over the world live and breathe for Bil Bless music. I was convinced that a new portal to heaven must have opened up based on the elation of the masses when Bil released the life mechanism 2 a few weeks ago. Not only was the heavenly portal opened, but they were letting people in for FREE via Bandcamp! All of the elation, the excitement, the frantic pushing and shoving on the subway so we could get home to download the album and plug it into our earholes was ABSOLUTELY rational considering what a mind-blowing album this is! 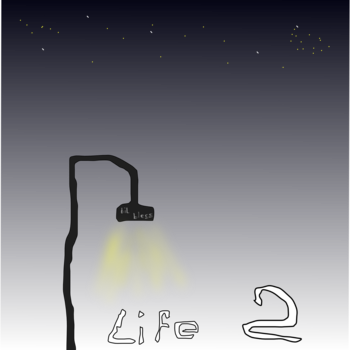 I can’t and don’t want to imagine a world without life mechanism 2 in it. It is a masterpiece complete with soothing melodies, crunchy basslines, deep glitched out vocals, and beats that could prompt grandmothers around the world to leap from their wheelchairs to start dancing.